Wouldn’t it be great if you could win back those visitors that bounced off your site wherever they were in their shopping journey? Or entice previous customers with new offers you’ve got right when they’re browsing for the type of products that you offer? If these are questions you’ve never asked yourself, then you’re probably already an e-commerce remarketing pro – great! But perhaps you’ve never heard of remarketing before? Or you’d just like to learn a bit more? Then read on to see the benefits of remarketing ads and how a well-implemented remarketing strategy can maximise your Google advertising ROI. Remarketing (also known as retargeting) allows you to continue a “dialogue” with customers after they’ve left your site by showing them highly personalised ads based on actions they performed on your site. These ads can show across all devices on both the Google search and the Google display network. The latter includes a whopping 2 million sites and reaches over 90% of people on the internet. This massive reach lets you reconnect with users and past customers in a variety of different formats. By doing so you can catch them in receptive moments to bring them back to your website and drive conversions. In fact web site visitors who retargeted with display ads are 70% more likely to convert. That’s one statistic that you certainly can’t ignore! There are a variety of easy-to-create ad formats available to suit your marketing goals and/or audience. These include standard ads (using Google’s ad templates and images from your website), responsive ads (that adapt to fit any website, screen size or device type, can appear as either text or display ads), lightbox ads (an interactive ad format), and video ads as well as retargeting search list ads (RSLA for short). If you want to create stunning image ads for the display network but you don’t have the resources, no problem! Google have you covered there too with the AdWords Ad gallery, which lets you use existing templates or create your own. The level of reach and customisation combined makes remarketing a powerful tool and a must-have in your e-commerce marketing repertoire to maximise your return on advertising spend. The good news is that setting up a remarketing campaign is just as easy as setting up any other AdWords campaign. You decide on your budget, research your keywords, create your ads, set your bidding strategy and you’re good to go. Standard remarketing: this type of remarketing shows ads to people who visited your website but didn’t convert. These ads will show on the Google display network as users are browsing social media or other e-commerce sites, for example, and will appear on the search network in the SERP to users who are searching for similar products and services to the ones you offer. Dynamic remarketing: a dynamic remarketing campaign allows you to show far more personalised ads to people based on deeper engagements they made with your website. For this reason dynamic remarketing is more suitable for e-commerce sites that have large product inventories and high traffic volumes. This kind of remarketing campaign can be extremely cost-effective because it allows you to serve ads that directly relate to the specific actions (or combinations thereof) that visitors performed on your site. Video remarketing: if your preferred advertising medium is video then you could see your biggest ROI with a video remarketing campaign. You just need to link up your AdWords account to your YouTube account to get started. These types of ads are shown on YouTube and video partner sites to people who have watched your videos or subscribed to your channel, allowing you to reach potentially thousands more users. RLSA (remarketing lists for search ads): these ads will appear to users on the Google search network who previously visited or shopped on your site. The great thing about RSLAs is that they allow you to customise both your ad text and bidding strategy to users with the highest conversion potential. For example you might choose to bid higher to serve ads for current discounts to past converters who are back in the market for the type of product or service that you offer in order to entice them to return and make a purchase. The only downside of this type of ad is that you can’t use demographic signals – these are only available on the display network. How do I launch an e-commerce remarketing campaign? Remarketing works on the basis of creating remarketing lists; that is, audience lists that are grouped by user behaviour (more on that below). It’s important to know that your website needs a minimum number of visitors in order to create remarketing lists. To create a list on the Google display network requires you to have at least 100 active users or visitors in order for your ads to run, and those on the search network require 1,000. Once you’ve determined you have the right number of visitors, you then need to decide whether to run your remarketing campaign on the search or display network. There is the “Search network with display expansion” option (new version of AdWords) but this will primarily serve ads on the search network, showing ads on the display network only where your budget allows it. You can of course set up two separate remarketing campaigns, one each for search and display, but it’s worth bearing in mind that each of these campaign types target users in two very different scenarios. People on the search network are actively searching for something similar to what you offer but you can only show them text ads. Conversely remarketing ads on the display network are primarily image-based and will appear to people who are browsing the web and not necessarily in ‘shopping mode’. Therefore if you do opt for both, be sure to make two separate campaigns with clearly defined goals and strategies to maximise your ROI. How do I create remarketing lists? Once you’ve selected the best campaign type for your marketing goals, you simply need to add a snippet of code to each page of your website called a ‘remarketing tag snippet’. This will then track the unique visitor IDs of people who land on pages with this tag in their code. Google have quite straightforward instructions on how to set up this part. That said not all of us are techy, so if you’re unsure then just consult your web developer who will be able to include the snippet based on the type of user behaviour you want to collect for your lists. Best practice dictates that you should add snippets to every page of your website to ensure maximum opportunity to track and target all behaviour, i.e. site visitors, past converters, cart abandoners, visitors to specific product detail pages, and so on. This tag tracks your site visitor’s cookies which are then added to your remarketing lists. Once added to the list their is an expiry date of 540 days, after which point a user is automatically removed. You can of course alter how long you want users on lists taking into account how long is appropriate to continue showing them ads. AdWords will automatically create lists for you such as ‘All site visitors’ and ‘All converters’ so you can start tracking right away. However we strongly recommend that you create your own custom lists to be able to make the most of your advertising by targeting specific user behaviours. 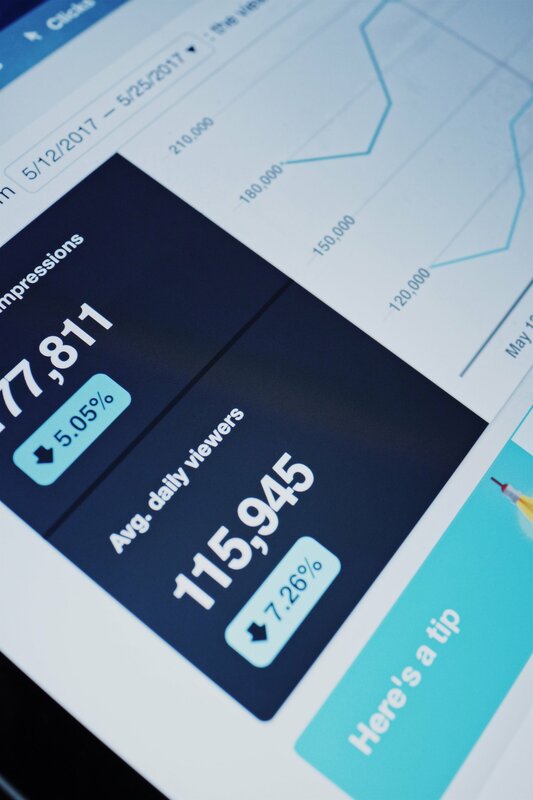 You can do this in the Audience definitions feature of your Google Analytics account – you’ll need to connect your AdWords and Analytics accounts so that they can share data with one another. Audience definitions allows you to define audiences based on specific actions exhibited on your site. This in turn allows you to create much more personalised and relevant ads directly targeted at users whatever level of interaction they’ve had with your brand. For example you might want to create one list for cart abandoners and one for past converters to segment these audiences and serve them separate ads. This level of segmentation is really the beauty of remarketing, and it’s as easy as customising your remarketing lists and using different tag snippets for different user behaviour. Google makes it easy by segmenting these snippets by business type, but there are also custom options if your business doesn’t fall into one of the pre-defined categories. You can create your remarketing lists in AdWords or Analytics, however AdWords will only track people who clicked on your ads whereas Analytics will track all visitors to your site, giving you a much richer data set for more in-depth analysis. Any marketing professional will tell you that practically all marketing decisions you make for your e-commerce business must be data-driven. A remarketing campaign strategy is no different and here is definitely where you should carefully examine the audiences you’ve defined in order to implement a bidding and ad strategy to maximise ROI. 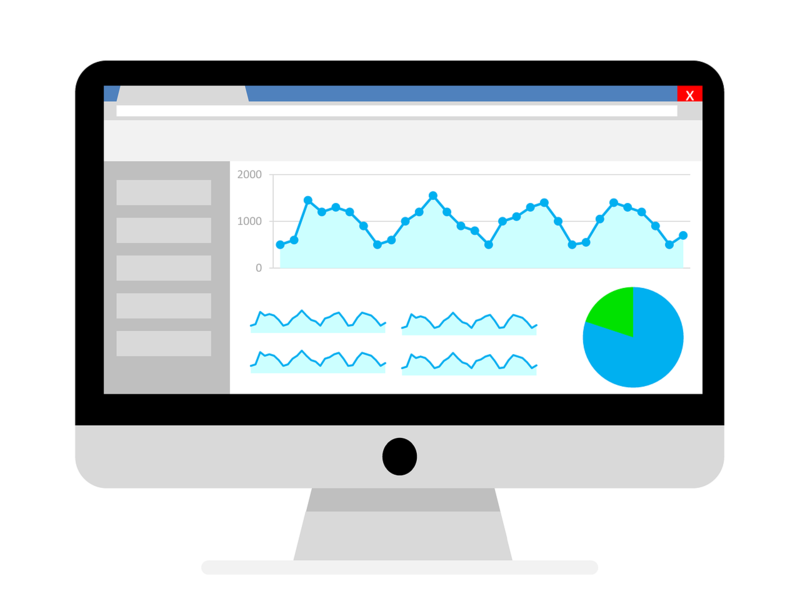 Use all the data you have on customer interactions and import it from your Analytics to your AdWords account. This will allow you to make informed bidding and targeting decisions for your remarketing campaigns. There are a wide variety of bid strategies you can adopt for remarketing campaigns, both manual and automatic. For example target ROAS (return on ad spend) is an automatic bid strategy that is likely to work best for ecommerce businesses running a dynamic remarketing campaign as it optimises bids in real-time based on live auction data, helping you maximise your ROI. You’ll naturally want to increase your bid adjustment for cart abandoners over users who only visited your homepage, as the former had a much deeper engagement with your site and thus are more likely to convert. In this case an enhanced CPC (ECPC) bid strategy would work well as it will automatically adjust your bid for clicks that seem more (or less likely) to lead to a conversion. With RSLA you can expand your keyword list – keywords that might not have performed previously might be more effective for people who have already visited your site. The creative content of your ads is arguably of equal importance to your bidding strategy. Most obviously your ads should be eye catching and coordinated with the feel of your website. However they must also be relevant to the specific audience you’re targeting. So if a user left your site after viewing your brand new range of summer dresses then be sure to serve them an ad with images of these dresses, or, if you’re running your campaign on the search network only, then you might serve a text ad with a discount offer for this product range. Remarketing with Google is a highly versatile tool for any e-commerce business. It enables you to re-engage shoppers with your brand in a highly personalised way even after they’ve left your site, and it’s this that makes it so successful. By segmenting your audiences based on custom actions you can define your strategy accordingly and create truly engaging ads to nudge users along, no matter where they are in their customer journey.